My wife, Vivianne, and I recently hosted an afternoon of music, to celebrate the change of season and to bring good friends together. We called it the End of Summer Jam. 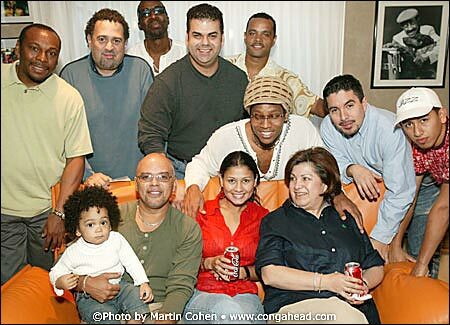 Friends who joined us included Little Johnny Rivero, Pedro "Pedrito" Martinez, Samuel Torres and his mother, Nora, Jimmy Delgado, Victor Jones, Arturo Romay, Chino Bolaños, Edmar Castañeda, and Johanna Castañeda.